UP and BNSF along the highly scenic Columbia River between Washington & Oregon in the Pacific Northwest. We covered the line from Cape Horn Tunnel to west of Pasco, and from Troutdale to Hinkle. 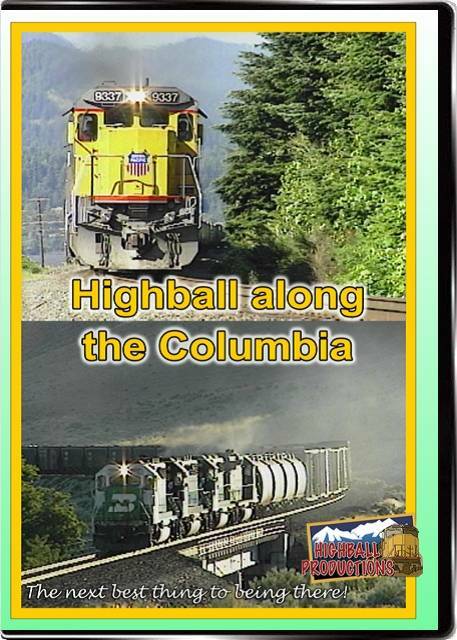 We were really pleased to find cabooses on the BNSF trains that cross the Columbia at Wishram and on UP's Bend local. We caught UP's Office Car train with the E's and chased him, he was hitting the detectors at 80 mph! We managed to get trans on both sides of the river on several occasions, 11 days of shooting went into this video.